Director of Bands John R. Locke knows exactly why he came to UNC Greensboro. Thousands of undergraduates, hundreds of graduate students, and more than 63,000 former and current high school students who have worked with him would agree. 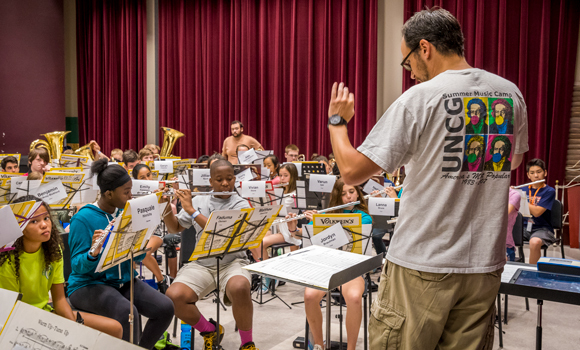 The number of skilled musicians who have been influenced at UNCG by Locke is tremendous. 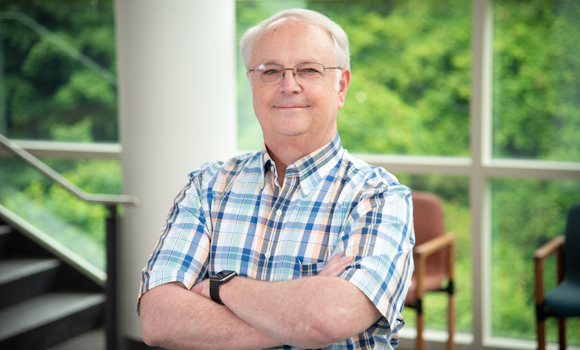 He will retire this December, but during the 36 and a half years he’s served the campus, the School of Music has undergone an incredible transformation. Simultaneous to teaching and conducting, Locke placed advertisements, hung posters, and did everything he could do to recruit music students into ensembles. A few years later, when there were six talented freshmen trumpet majors in the entering class, Locke felt the school’s enrollment had turned a corner. 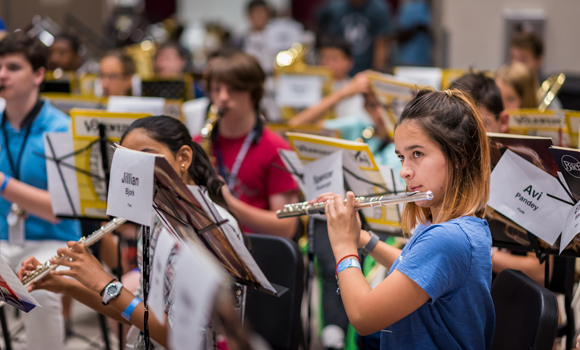 Now, there are approximately 600 music majors. He credits the other enthusiastic faculty for their work in strengthening and expanding the School of Music. 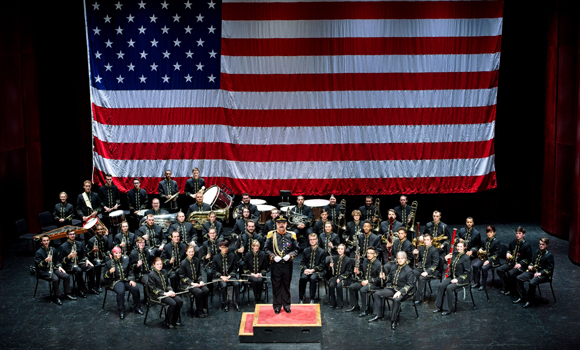 All UNCG wind and percussion alumni are invited to participate in an Alumni Band conducted by Locke, and the group will perform a short prelude to the Wind Ensemble Retirement Concert in UNCG Auditorium on Sunday, Nov. 18. 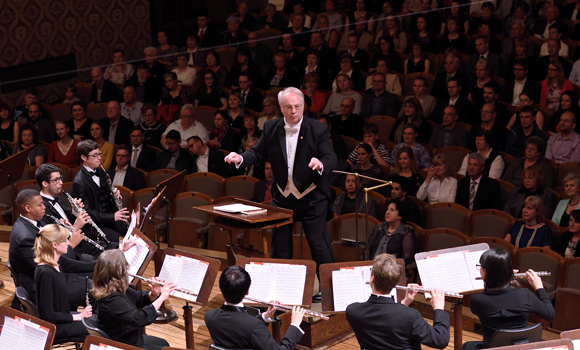 The concert, which begins at 1:30 p.m., is free and open to to the public. The Wind Ensemble dress rehearsal is on Saturday, Nov. 17, at 10 a.m. in UNCG Auditorium and is also free and open to the public. View the video below to learn more about Locke’s time in the School of Music at UNCG and how he has made an impact on thousands of college and high school musicians.